There is corrosion of the shiny metal parts, particularly the handle of the inside container. The brushed nickel isn't corroding. You'd think they would have taken coastal environments into consideration, when they designed the can. On a positive note, it functions well. We've had ours for a few years and the step still works. Originally we purchased it to fit under a cabinet. Now that we have it in a new location, we wish that it was bigger, because we only use it for recycling aluminum cans. The size of it for this function is annoying because we have to change it out often. But as a small trash can, it would be okay. We buy the scented 8 gallon plastic bags and there is excess that doesn't always get hidden properly. But the plastic hole with the teeth helps, as does the metal handle. I just with that the handle was made from the same metal that isn't corroding, because it's the only reason why it looks ugly and more importantly, rust is a health hazard. 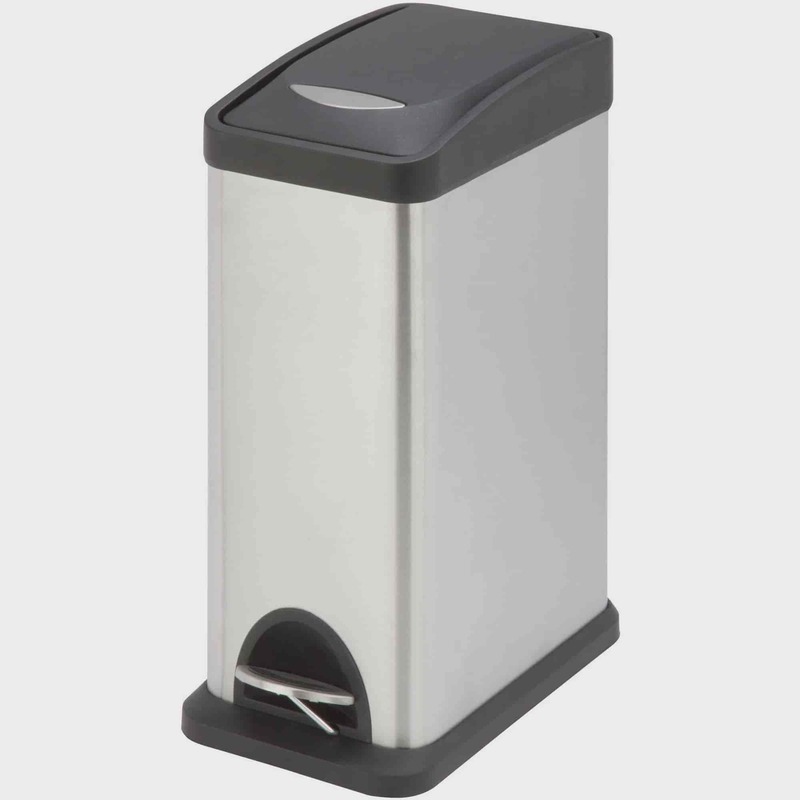 Home territory searches the web to find the best prices and availability on Trash Cans and related products foir your home like Honey Can Do TRS-06309 8L Rectangular Step Trash Can, Silver Black. For this page, related items include products we find that match the following keywords: "Trash Can|Garbage Can|Trash Bin" at our vendor partner Walmart - Click More Info / Buy Now to check for price rollbacks!. Honey Can Do TRS-06309 8L Rectangular Step Trash Can, Silver Black is one of 49 Trash Cans and related products available for sale through HomeTerritory.com, If you have any questions on this product, please give us a call at 734-971-1210 during the hours of 9am - 5pm EST for assistance. Thank you for shopping at Home Territory, the home furnishings superstore!